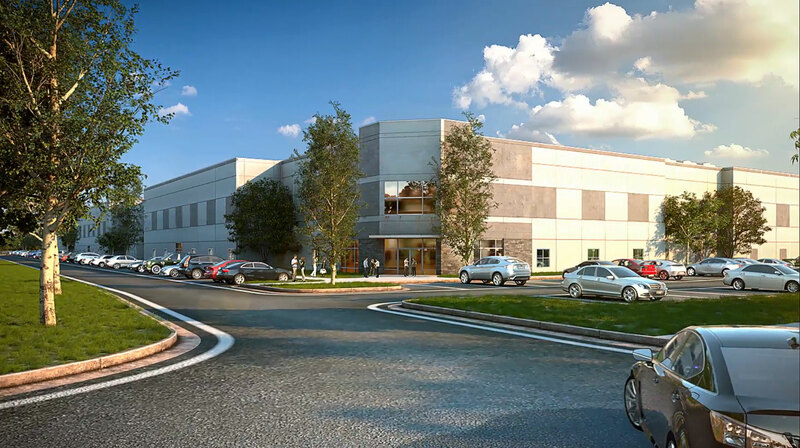 Matan Companies has purchased a second 10-acre industrial site on Maries Road in Dulles, Virginia expanding the development of their new Class A industrial complex called Dulles North Industrial Park. The Frederick based developer is currently tilting walls on its first 154,125-square-foot Class A spec industrial building that will deliver in April 2018. Matan will commence construction on the second spec building totaling 138,500 in April delivering in December 2018. Both buildings will feature 30’ clear ceiling heights, ESFR sprinklers, large truck courts, and a neutral palate façade with stone accents. Located along the northern edge of the Dulles Corridor, Dulles North Industrial Park has excellent proximity to key residential and mixed-use developments such as Dulles Town Center, Commonwealth Center, One Loudoun and Ashburn.